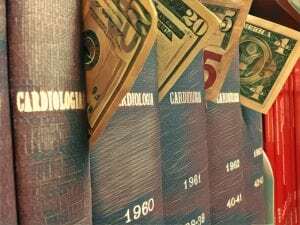 About half the editors at the most prestigious medical journals in the U.S. receive payments from the pharmaceutical or medical device industries. But only 30 percent of these journals make it clear to readers what their policies are regarding such conflicts of interest. Those are the findings of a Canadian study published last month in the BMJ. They raise major questions about the independence and objectivity of academic journals, which are a primary source of health care news. Why should we be concerned about journal editors taking industry cash — as much as $1 million in some instances? The Canadian study published in The BMJ primarily looked at industry payments to editors that were reported to Open Payments as consulting fees, speaker’s bureaus, and meal and travel reimbursement. The University of Hawaii/UC-San Francisco study looked at the same payments (per above) but also included payments to the home institution of the editor. Editors at these journals are the primary gatekeepers in determining which studies get published and, quite often, which studies will be covered by the media. 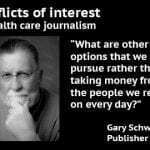 If they are influenced by industry money–whether that be via direct cash payments, research funding, or money given to their home institution–then our health care news can be tainted at its source. Researchers estimated payments by looking at 2014 data from the Open Payments database and investigated 52 highly influential medical journals across 26 specialties. Median general payment was $11 but the range was wide ($0 to nearly $3,000). Two editors received over $1 million. Endocrinology, cardiology, gastroenterology, and rheumatology editors received the highest median payments. Nearly two-thirds of physician editors (from 35 influential journals) received industry payments over the 41-month study period. more than 1 in 7 received over $10,000 directly (not via their institution). 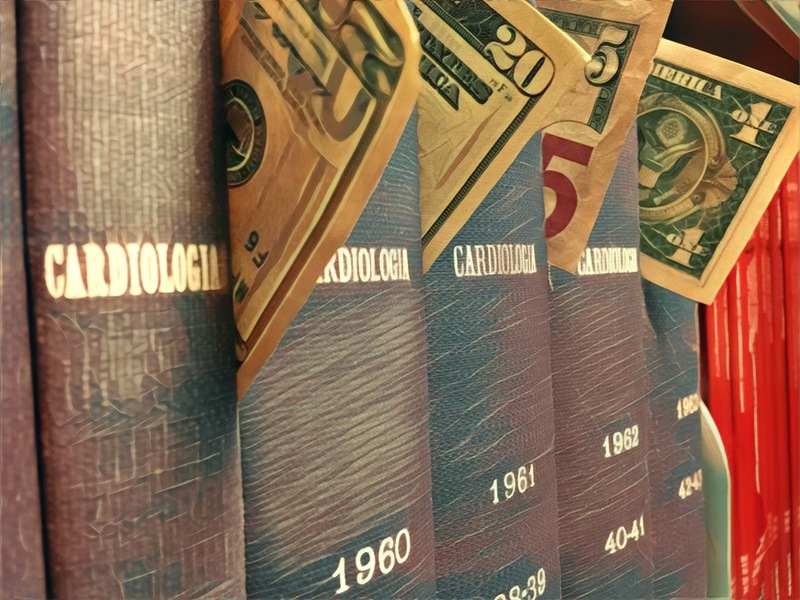 44 percent of cardiology editors received over $10,000 in 2015. Of note, both studies are retrospective and observational in design. This means neither study can definitively claim that industry payments clearly affect editorial decisions in a cause-and-effect way. As we’ve written about before, there is a growing body of evidence showing that medical industry largesse does affect healthcare providers. And even if it didn’t, there remains the issue of public perception and trust whenever and wherever there is a reluctance to be transparent. Dr. José Merino is acutely aware of this. 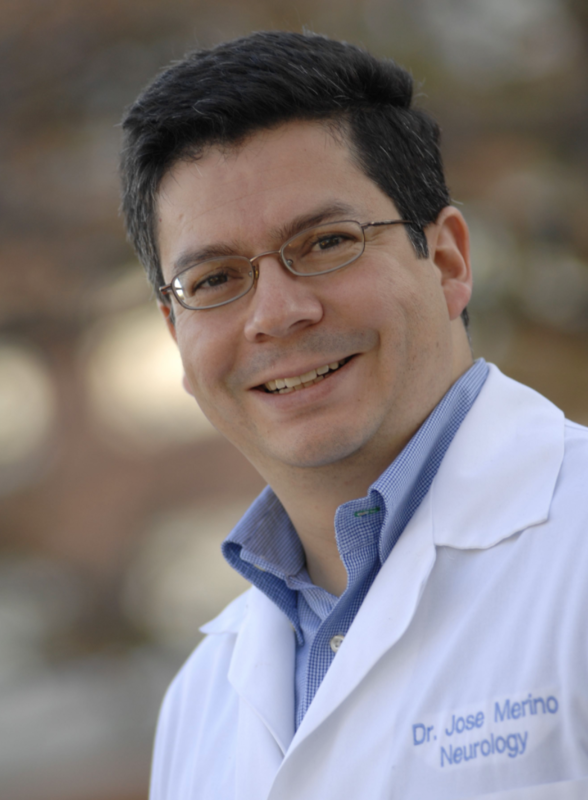 He is an associate professor of neurology at the University of Maryland School of Medicine. He’s on committees with both the American Academy of Neurology and the American Heart Association because of his interest in the diagnosis and treatment of stroke. He’s also the US Research Editor at The BMJ. 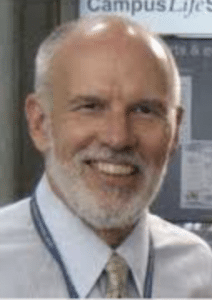 “Editors have significant power because they decide what (and who) gets published,” says Merino, who adds he doesn’t take industry payments to avoid any real or potential conflicts of interest (COI) in his clinical, research, and editorial roles. But given that the Canadian study found only 30 percent of journal websites disclosed their COI policy for editors, it’s hard to know how many journals are (or aren’t) as careful as The BMJ. Many physician-editors at prestigious medical journals are considered “thought leaders” within their field. Their expertise, reputation, and influence make them highly sought after not just by the editorial boards of journals, but also by colleagues, professional societies, the press, and industry. Many, like Merino, also conduct research. “It would be ideal for most editors to have some significant research experience, but not at the expense of losing objectivity and transparency. The more funds that come from industry, the greater the likelihood that editorial decisions are not objective. What about the publishers of medical journals? It’s worth noting that medical journals make considerable money from reprints and advertisements paid for by drug or device companies. Publishers rely on these lucrative arrangements as a major source of income. So does this add a third level of potential COI as we move upstream from authors, past editors, and up to publishers? 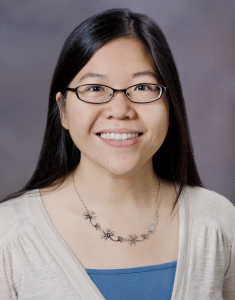 “Reprint and supplement payments to publishers could easily be a source of bias,” says Dr. Michael Callaham of UC-San Francisco, a co-author with Dr. Wong, who studies the peer review publication process. “High-profile journals can make hundreds of thousands of dollars from Pharma or device manufacturers that way (by their purchase of reprints to distribute to physicians by their salespeople). As for supplements, they serve the same purpose, and in my experience they often don’t get the same rigor or objectivity of peer review as routine manuscripts. Callaham adds that, to the best of his knowledge, there are no regulations mandating that publishers disclose to their readers how much income they receive from reprints and supplements. 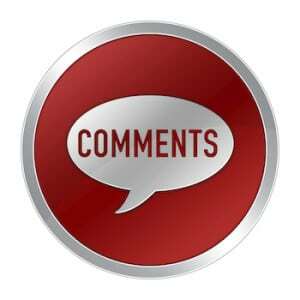 For now–even though professional organizations like the International Committee for Medical Journal Editors (ICMJE), Committee on Publication Ethics (COPE), and World Association of Medical Editors (WAME) all publish guidelines addressing COI–compliance remains voluntary. That leaves me wondering: Will medical journals see complete transparency as in their best interest? If not, why? Many journalists agree that it’s unethical to take gifts or payments that might impact their reporting. Even if they’ve convinced themselves they wouldn’t allow this to happen, ethical journalists recognize the possibility of a subconscious influence as enough of a slippery slope. Is it too much to ask editors (and publishers) to do the same? And is it too much to ask that we replace the de rigueur “call for transparency” with what we’re really asking for … a call for honesty? I suspect that most journalists read about this and are aghast. Wow! How could this be? The answer, I think, lies in the fact that medical journal editors are physicians and medicine is an extremely demanding vocation. Doctors don’t get out of the library, the clinic and the laboratory very often. They work extremely hard to get through school and to become proficient in medicine. And most experience very little outside of that. Shoot, many of them do not even get their first job until they are 25-26 years old, and even that is a residency, which is a pretty narrowly focused, sheltered environment, for another three to seven years. Because of this, physicians are naive about much. Where we journalists learn in j-school 101 to eschew gifts, and any payment except for our writing invoice and/or salary, nobody stresses that with a physician. They have too much else to worry about. Furthermore, physicians are successful, usually highly intelligent people. Such people often have a bit of hubris. They think “I can handle this,” even though they cannot. A policy tends to have not much impact, because they are above it. The other relevant fact here is that most journal editors still work outside journalism. They generally come from academia, and they keep their academic position. (They don’t so much move into the journal offices as the journal moves into their university office.) Their appointment to the journal is temporary and they expect to become professor again when it is done. Very few medical journals have dedicated, full-time editors, notably the NEJM and JAMA. Heck, even the editor of a prestigious journal like the Annals of Internal Medicine, Christine Laine, is a practicing physician and clinical associate professor. As Dr. Wong notes, most editors too had sponsored research projects they were involved in before they became an editor, and those research projects are continuing. They took, and sometimes solicited, money for those projects and they are used to getting speaking fees. It is part of the game. It is a sign of prestige. Everyone does it. Accepting grants and gifts is what they have always done. As noted in the study, the editor of the orthopedics journal who received a general payment of more than $10 million is a case in point. He was being paid for work he did before. He happened to have founded a company, and that company was sold to an international medical device maker during his editorship. Unlike a journalist, who probably is not much good for anything else, these people want to return to their research. This is not to exonerate the behavior. It is just an explanation of something that we journalists tend to think of as such an obvious violation of ethics. Actually, it is what makes this situation even more pernicious, perhaps, because how do you solve a problem like this when the editors come in with entanglements? Who else could edit these journals? Your last question … “Who else could edit these journals?” … is paramount and I appreciate you highlighting it. Physician editors – especially those with clinical wisdom, extensive research experience, and a passion for writing – are ideal candidates to be editors at medical journals. No argument there. But my point is this: qualified editors who have conflicts of interest are not ideal. Their objectivity and the integrity of their journal is compromised. If your follow-up to that is: “Sure, but where are you going to find qualified editors who don’t have at least some conflict of interest with industry?” … I think this article clearly establishes the reasons why journal publishers have a very strong incentive NOT to look too hard for people who don’t have such conflicts. Furthermore, there ARE qualified physicians WITHOUT conflicts of interest (see this LIST). So the question becomes … should medical journals honor their professional code and be more rigorous in searching for editors WITHOUT conflicts of interest? Or, should we simply roll over and concede that this is the inevitable trajectory of some of our most respected medical journals? Of course, in no way did I mean that we should throw up our hands in despair. Of course, we should scrutinize, and object, to the situation revealed by these reports. I only meant to discuss some aspects of why the situation exists, perhaps, and to describe why it might be a bit difficult to remedy. Let’s face it, most journal editors come from academia. Most are prominent in their field. That’s why they get tagged for the editorship. Most academics who are prominent in their field get that way by doing notable research. Research is supported. Nobody picks the undistinguished dermatologist from Poughkeepsie to be the editor of the Journal of the American Academy of Dermatology. And one could argue that said practitioner, however able he may be, would not be as qualified as the academic who knows the players, the current research, etc., anyway. Let’s not dodge the fact that medicine in America, where many of these important journals are published, is a commercial venture. Nobody is pure as the driven snow, save for, ‘maybe’, those few lone souls on your list. All that said, it deserves to be noted, just for perspective, that these editors are physicians and physicians are professionals. Professionals tend to be dedicated and conscientious — physicians maybe more so than any other professionals. Professionals generally care more about their endeavor and their field than they do about remuneration. Any journalist who has been a member of the NewsGuild knows this only too well. When contracts come due for negotiation, the Guild has no clout with management because you cannot pry a reporter away from his terminal, or even get him to slow down. She cares too much about her calling, to her own detriment. These editors are no exception to that quality of professionalism. They want to protect their field. They want to advance their field. They are trying to do what is best for their special area. They also have checks and balances. Most publications have other editors too — editors with their own, different biases. There is a board. There are reviewers who work with the journal, some of whom may have even had issues with the main editor’s prior work. Still, clearly this is an unacceptable situation and one that needs redress. Health care and the advance of medicine is too important an endeavor for it to be compromised. My mom needs it. My wife needs it. My children need it. I need it. So, thank you very much for bringing this issue up. I agree with the comments above, but my comment is simple: the statistics on how many physicians take these payments are astounding on their face. The scope, reach, and, yes, malign intent of Big Pharma is truly scary and should be ringing far more alarm bells in the profession. Of course, it is easy for me to cast stones since I am a pathologist – but maybe it takes an outsider to recognize the sheer reach of the problem…….